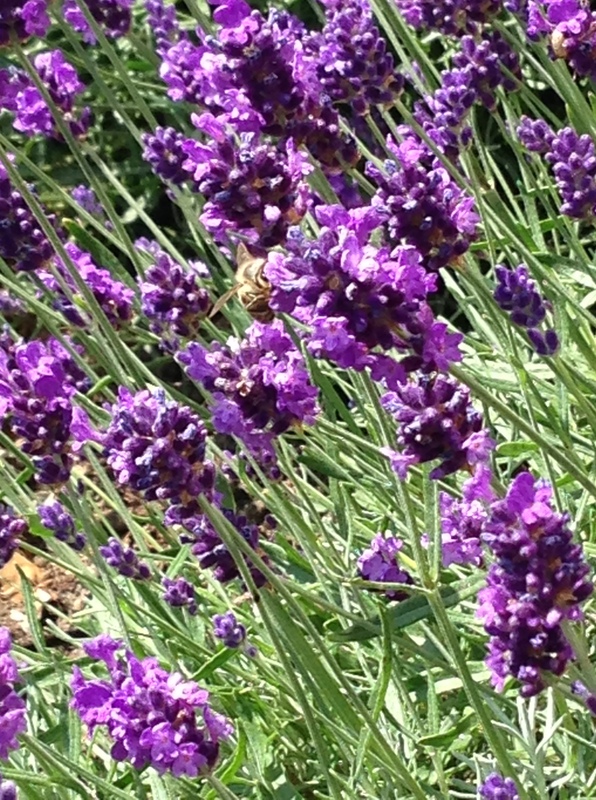 The lavender bushes that Ajaz planted in his mother’s garden, in the sunshine, with bees buzzing around them. Ajaz Ahmed, AKQA founder, on the lavender bushes he planted at his mother’s house. AA C.S. Lewis once wrote: “We live, in fact, in a world starved for solitude, silence, and private: and therefore starved for meditation and true friendship.” Tranquility is not something I find myself actively searching for. But sometimes, when you least expect it, tranquility finds you. Scarcity has an extraordinary and beautiful value and at this moment, I felt that I was a friend of nature. GB Is it important to you that you planted these lavender bushes yourself? AA You have to honour the land because it’s the ultimate source of all livelihood. That is the way we were raised. Our family are farmers. Farming is the only reason ours and many millions of families have endured to this point. But in an age that’s dominated by technology and media, It’s easy to forget this. It’s easy for humans to be blinded by our own clever inventions and create an artificial separation from nature. On our farm we grow oranges, mangoes, grapes, but all outside the UK. In the UK wildflower meadows are being all but wiped out. Bumblebees and other species are facing habitat loss. Planting lavender provides a source of food for bees and a sense of sustainability and respect for the land. AA Maybe it’s knowing how much my mother loves and respects nature. Maybe its knowing how much she loves flowers and can effortlessly make the most spectacular arrangement straight from her garden. GB Why is the real experience of this so much better than any digital experience? AA Sight, touch, smell, sound, taste. Nature makes all the senses light up. Digital is not mutlisensory in the way that nature is, not even close. My memorable moments with nature are engraved into my heart and mind. I can’t say that’s true about digital experiences. GB Do you think nature is the highest form of beauty? because in her inventions nothing is lacking, and nothing is superfluous.” Nothing is lacking, nothing is superfluous – I think that’s the ultimate aspiration for anyone who wants to create something beautiful. AA The speed at which connections get made. The sharing of Information. The sense of global collaboration. The world becoming more of a global village. In many ways it is profound and can start a path towards beauty for those that pursue it. GB You’ve chosen something free, that’s available to all. Is that an important part of its beauty? AA Perhaps the greatest gift of beauty is its equality. GB This is something that’s on a timeline that never changes. Is that reassuring when you work in a world that is constantly speeding up – or frustrating because you have to wait for the lavender to flower throughout the winter? AA Winter has its own magnificent, powerful and often terrifying beauty. GB Do you think that beauty has the ability to slow down time for us? AA The truly beautiful moments are the enduring ones, they are with us In our memories, fabricated into our DNA. If an experience lasts only a second or less, but it is with you for life, perhaps the concept of time does not even apply. AA Beauty is not superficial. Beauty is the truth.